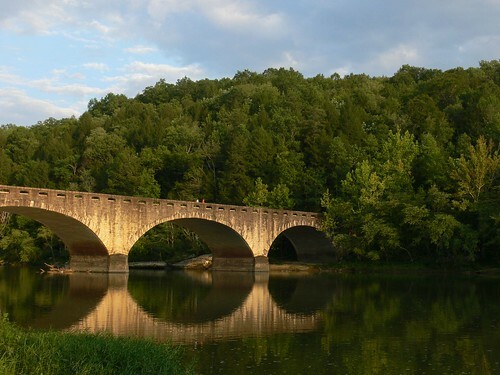 This two-lane arch bridge over the Cumberland River above Cumberland Falls at Cumberland Falls State Resort Park carries Kentucky State Route 90. This bridge looks extra special in the glow of the golden evening light. Towering above the forest, Natural Arch stands as an impressive monument to the forces of nature in action. 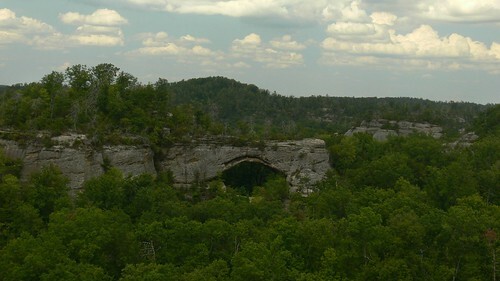 The 50- by 90-foot arch was formed by the eroding forces of wind, water, and ice that cut away the soft sandstone leaving a hard rock cap that arches dramatically across the sky. This park did require a $3 per vehicle entrance fee. We would have gotten a lot more for our money had we taken the hike leading you to the underside of the arch, but at the time we didn't know it existed! Please note: This is not located in the park, however, it only takes a short drive to get there. It is definitely not something you'd want to miss seeing if in that area. 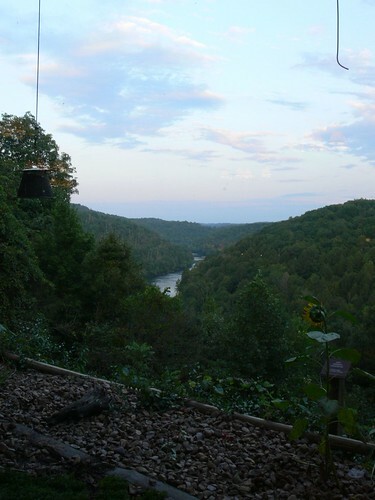 We enjoyed dinner with a stunning view that overlooked the Cumberland River as it wound its way through the hillside. The night we were there they were offering a seafood buffet. Cody was sold as soon as he saw crab legs on the menu. Homemade desserts were also included, which for me was probably the highlight. I couldn't help but sample a few different sweet treats. The food was as outstanding as the view! Be prepared to wait if you'd like a window side table, although we lucked out and got one despite the packed dining room. the first picture is truly amazing Jess. I love the reflection! perfect! I'm having a shopping gift card giveaway today if you want to come on over and check it out. Hope you have a great weekend! That first photo is amazing! Absolutely! My screen must be on dark today at work because a couple look very dark. Well, I probably shouldn't be doing this at work anyhow. Hee. Hee. I'm always fascinated at the beauty in our country. Thanks for such a great shot of the arch. We live just 3 hours from Cumberland Falls, but I've never been able to convince my husband that the "Moonbow" is worth the drive! Great photos! Looks like a great place to visit. I'd tell you which picture was my favorite but I liked them all so much. What a fun place to eat. Thanks for sharing! What a beautiful place. The bridge shot is very nicely framed. super lovely and mouth-watering, as always WW! 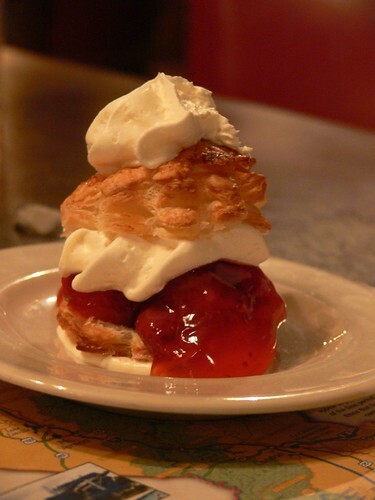 That bridge picture is special and I'll have the dessert too. ooh, eye candy! all of your pictures were so pleasing on the eye. If you want to wander down my road I’m home. looks like a wonderful place to me. Pass the dessert this way would you? i've decided you should be a travel agent!!! tempting us all to travel. Being from Kentucky, this was amazing to read and remember! 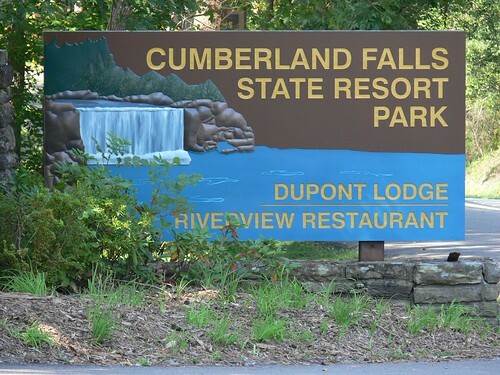 Been camping at Cumberland Falls State Park - nice! Your picture of the bridge is beautiful! The first photo amazingly captured the reflection of the bridge in a wonderful way. Very creative and imaginative in your own way. Keep up the good work. Wow!!!! Gorgeous!!!! And that dessert looks yummo!!! My link list is cut off for some reason. Sorry I am so neglectful about visiting. I'm taking a break but before I do I'll read back a few to see what I've missed. great photos! i've been to that park--the falls are so beautiful! What a beautiful area you live in and fantastic photos! Over from Beth's blog and will be back often! I know you're away, I just wanted to stop in and leave you happy birthday wishes ... belatedly !